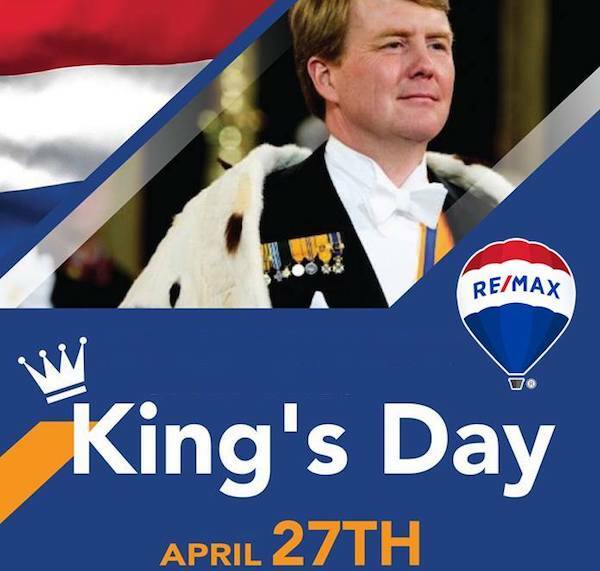 April 27 is when the island celebrates its Dutch roots with King’s Day. It’s a national holiday throughout the Kingdom of the Netherlands as it is the birthday of King Willem-Alexander. As recently as 2012, however, it was Queen’s Day for Queen Beatrix, and before her Queen Juliana and Queen Wilhelmina dating back to 1891. In 2013 Queen Beatrix abdicated and turned the throne over to her son, Willem-Alexander, so Queen’s Day became King’s Day. It is a national holiday in Aruba as well. Why? Many people don’t realize that although Aruba is independent in terms of self-governance, it is still a constituent country of the Kingdom of the Netherlands, along with Curaçao and Sint Maarten. On One Happy Island it is a day filled with sporting competitions and many family-centered fun activities like kite flying contests. Lots of the island’s restaurants and bars will also have special menus and offers on this day. Enjoy! On Friday April 27 and Saturday 28 is a fun way to enjoy Aruban cuisine as offered by Eat Local’s Food Truck Festival! All the best food trucks on One Happy Island will converge in one place, Plaza Daniel Leo in downtown Oranjestad to make their savory dishes available to one and all. Enjoy great food, craft beers, live entertainment and a Kids Corner from 7-11PM! Keep in mind that everything must be paid for in cash only. 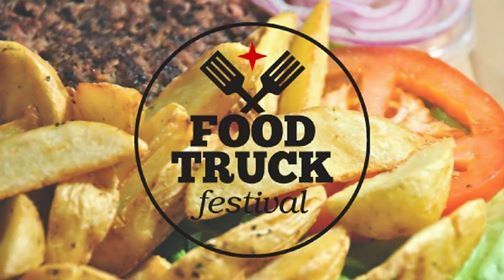 Among the participating food trucks this year will be Candela, Chalo Burger, Eataly, The Little One - ft. Hollywood Smokehouse, El Mexicano, Nos Local, Piet su truck, Pofferdorie and beer trucks such as Craft, Craft Beer Lovers and Bros&Beer! On Saturday April 28 through Monday April 30 everyone is looking forward to the Flip Flop Festival that keeps getting bigger and better every year and is becoming one of the island’s most beloved music festivals on the beach. Saturday April 28 is the Opening Event at E MOTIONS Nightclub 10PM-4AM, Sunday April 29 is the Pool Party at Renaissance Marina from 2PM-8PM, and Monday April 30 is the Main Event at Bushiri Beach Arena from 6PM-2AM. Performing artists in the lineup this year include Beenie Man, Fat Joe, Karol G, Alborosie, and Jeon! Brought to you by Chill beer, tickets are on sale at Citgo Palm Beach, Boulevard, St. Cruz & Essoville. We are very pleased to announce that the Re/Max Aruba team is growing again! 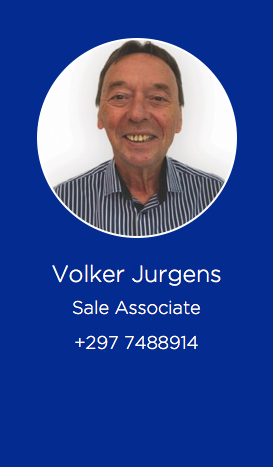 Joining our team of hard-working agents is Volker Jürgens (pictured here) and Jacqueline Maduro. We’re excited to see what these new agents bring to the team! 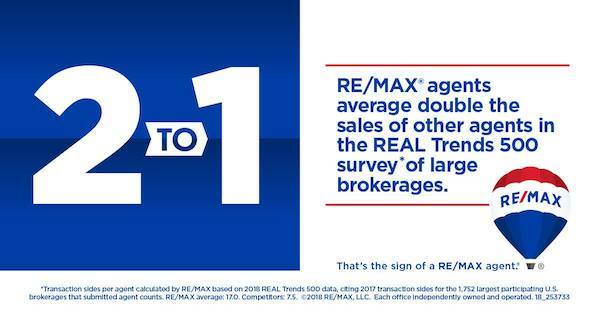 We’re a close-knit group who support each other in making sure our clients experience what we call the Re/Max HUSTLE, which is all about working hard to get the results you need. Whether you’re already a permanent resident of Aruba or looking forward to becoming one, Re/Max Aruba is here to serve and support you when the time comes to buy, rent or sell a property on One Happy Island!